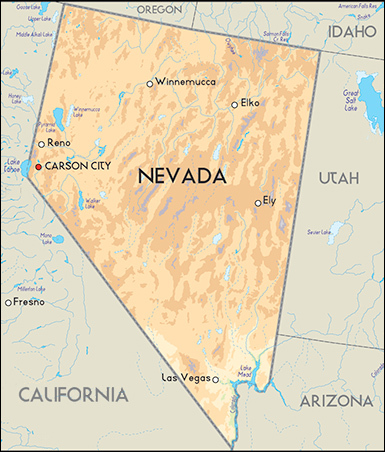 Oct. 11, 2018 — The new NBC News/Marist College survey (Sept. 30-Oct. 3; 920 NV residents; 780 registered Nevada voters; 574 likely Nevada voters) detects movement toward the Republicans in the two major Nevada statewide races (governor and senator), while keeping both contests in the pure toss-up column. Marist College is an “A” rated pollster from the 538 statistical analysis organization and has partnered with NBC News since the 2012 election. Already releasing several statewide polls this year, Marist tested the Nevada electorate knowing that Sen. Dean Heller (R) is embroiled in a tough re-election campaign against freshman Rep. Jacky Rosen (D-Henderson), while the open governor’s race, featuring Attorney General Adam Laxalt (R) and Clark County Commissioner Steve Sisolak (D), had begun to turn toward the latter. According to the NBC/Marist ballot test results, Sen. Heller posts a 46-44 percent edge among likely voters and an almost identical 45-43 percent within the registered voter sample. When the Libertarian Party nominee is added and a question asking whether any of the candidates are satisfactory, Sen. Heller maintains the lead, 44-42 percent, with eight percent going to Libertarian Tim Hagan, and another two percent saying they want “none of these candidates.” Among registered voters, the respondents split 42-41-8-3 percent in Sen. Heller’s slight favor, with Rep. Rosen closely following, and Hagan and “none of the above” trailing respectively.